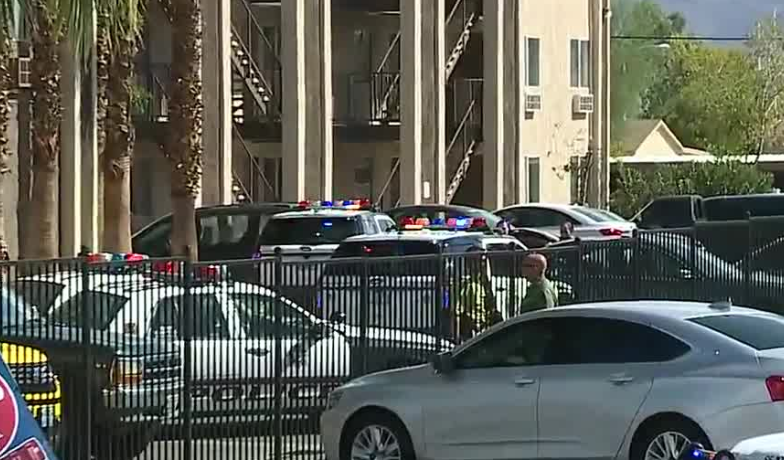 One person dead and two others were injured in a shooting inside an apartment complex. Austin Carter reports. One person is dead and two others are injured in a shooting on Boulder Highway Tuesday afternoon. The shooting was reported around 2:30 p.m. in the 5600 block of Boulder Highway, near Tropicana Avenue inside the Sportsman Manor complex. Police say the shooting happened inside a bedroom that was converted into a makeshift rap music recording studio. Some people were invited over to the apartment at the time, and that's when someone felt there was going to be a robbery. Shortly after, a fight ensued and then the shooting. One of the surviving victims is 18 years old and was shot twice. Another adult was shot multiple times and is in critical condition. 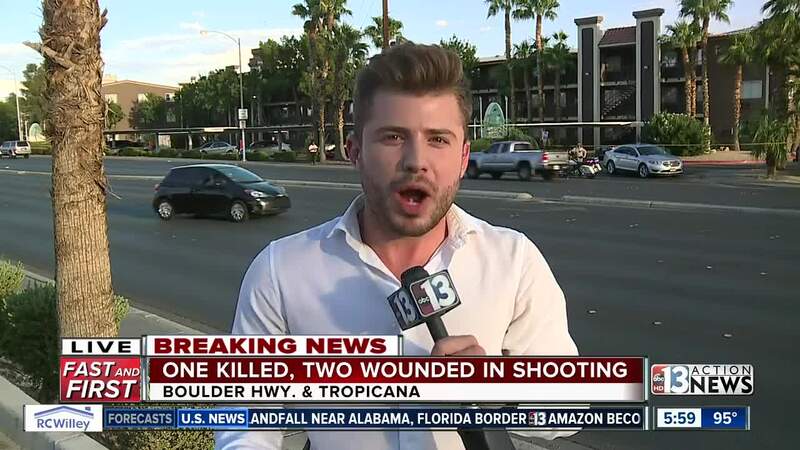 Las Vegas police homicide detectives responded to the scene. Reference the shooting call on the 5600 block of Boulder Highway, there is a confirmed deceased person. Homicide detectives are on their way to that location. THIS IS NOT AN ACTIVE SHOOTER INCIDENT.